This is a nice sized canister of powdered sugar in a shaker, imported from Holland. 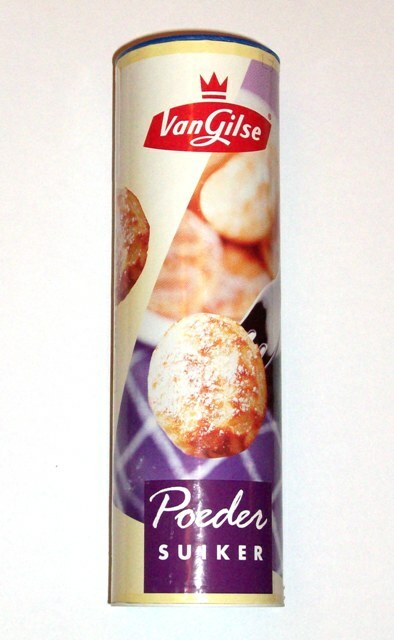 Use on Poffertjes, Oliebollen, or any time you want to sprinkle on some powdered sugar. It works very nicely.